Corey was born July 19, 1977 at Alton, IL. 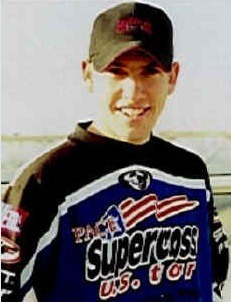 He was killed in a collision with a pickup truck on January 22, 2002 while riding his motorcycle home from work. Corey and his brother Terry Geisler joined the SIMA in 1996 and helped judge at the annual SIMA Mustang show and swap meet held at Roberts Ford in Alton, Il. Corey loved working on his several Mustangs, by making modifications to their appearance and enhancing their performance. He especially liked to attend Mustang shows and swap meets. He was employed as a Seadoo technician at Midwest Motor Sports in Granite City. 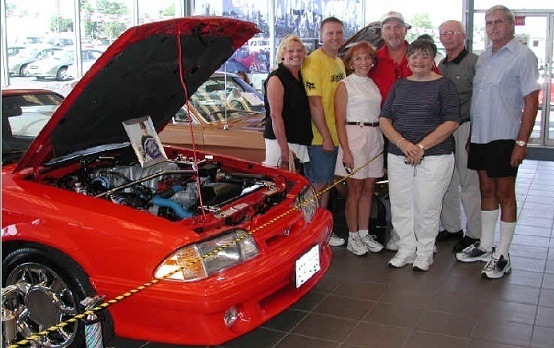 Corey had a 1993 Cobra, the third Cobra he had owned. His first Mustang was a 1986 GT. His first car was a 55 Ford pickup. Over 35 Mustangs escorted the Funeral procession from the St. Johns United Church of Christ in Brighton to the Memorial Park Cemetery at Staunton.